Rock-chic just got a whole lot comfier. PUMA just launched their brand new women’s collection; gothic-inspired apparel, designed to add a new edge to off-duty style. The entire range is exclusive to JD and includes street-ready hoodies, leggings, cropped crew sweatshirts and more – each adding contemporary, laidback vibes to your casual, everyday looks. Nothing says gothic like hints of vibrant red detailing and PUMA defo doesn’t disappoint. Intricately detailed roses finished with falling petals entwine their way around the signature pieces of the collection to complete the grungy look. 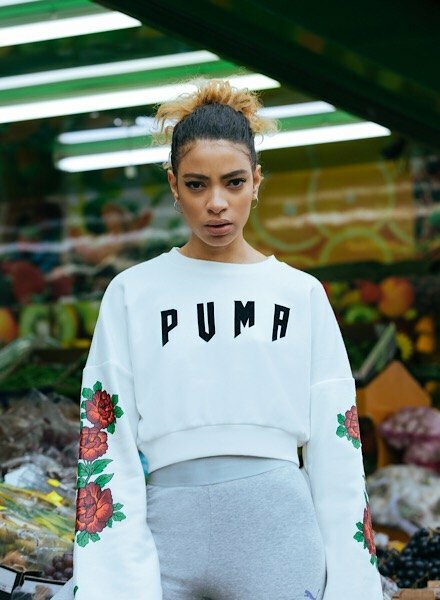 Each piece is built from a quality cotton blend for extra comf’ – featuring a refreshed PUMA logo in a gothic-style font that guarantees to make a statement. Take full advantage of the 90’s style revival with comfort x grunge and PUMA. Shop the new PUMA gothic collection exclusively at JD and show us how you rock it with #MeInJD for a chance to be featured on @JDWomen.